AMERICAN FREEDOM by BARBARA: Is Ted Cruz Shaming Iowa Voters or Reminding Them to Caucus? Is Ted Cruz Shaming Iowa Voters or Reminding Them to Caucus? 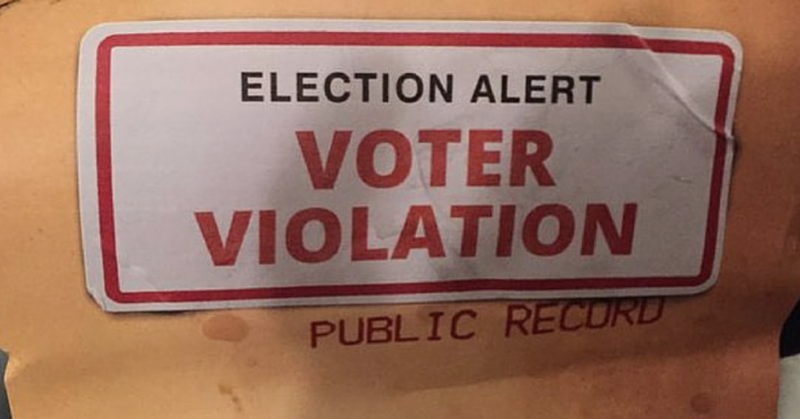 It has now been confirmed – The photograph of Ted Cruz campaign shaming letters is legit (see below). The letters are officially from the Ted Cruz campaign. The personalized letters target individual Iowa voters and identifies them as having failed to vote in prior elections. They are admonished and then encouraged to vote this year. In addition the letters identify the neighbors of the voter, and provides their voting history. “You are receiving this election notice because of low expected voter turnout in your area. Your individual voting history as well as your neighbors’ are public record. Their scores are published below, and many of them will see your score as well. CAUCUS ON MONDAY TO IMPROVE YOUR SCORE and please encourage your neighbors to caucus as well. A follow-up notice may be issued following Monday’s caucuses”. Labels: Is Ted Cruz Shaming Iowa Voters or Reminding Them to Caucus?